The UNBC Timberwolves handed the University of the Fraser Valley men’s basketball team its first loss of the Canada West regular season, by a score of 81-74 on Friday evening. In Prince George, Cascades fifth-year guard Kevon Parchment continued his outstanding start to the season, racking up 25 points and 11 rebounds – both game-high totals. But the T-Wolves got big games from their backcourt stars Rhys Elliott (23 points) and Billy Cheng (15 points) en route to victory. The Cascades (4-1) came into the game leading the conference in points allowed per game (64.0), but the T-Wolves (2-3) shot a healthy 48.4 per cent from the field and 44 per cent from beyond the arc (11-of-25). UFV gets another crack at UNBC on Saturday at 7 p.m. The game will be webcast at ufv.canadawest.tv. The Cascades led 44-37 at halftime on Friday, but the T-Wolves came alive after the break. They rallied to take a 70-62 lead in the fourth quarter, with Marcus MacKay’s three-pointer capping a 13-2 run. UFV dug deep and mustered the next nine points – highlighted by a Parchment triple – to reclaim the lead at 71-70. But UNBC’s Vaggelis Loukas nailed a trey of his own on the next T-Wolves possession to kick-start a 7-0 run for the hosts, and they never trailed again. Vijay Dhillon (16 points) and Manny Dulay (14 points) joined Parchment as double-figure scorers for UFV, and all three players hit three treys apiece as the Cascades hit 50 per cent of their attempts from beyond the arc (10-for-20). Shayna Cameron led a balanced attack as the University of the Fraser Valley women’s basketball team defeated the UNBC Timberwolves 80-68 on the road on Friday evening. Cameron racked up her team-high 21 points in exceedingly efficient fashion, hitting 9-of-13 shots from the field, including a perfect 3-for-3 from beyond the arc. She had plenty of support – Kayli Sartori, the Canada West scoring leader heading into Friday’s action, stuffed the stat sheet with 17 points, eight rebounds and five assists. Rookie forward Taylor Claggett registered 17 points and seven boards, while Sydney Williams’ 14 points included four three-pointers. UNBC point guard Maria Mongomo replied with a game-high 23 points, while 6’3” centre Vasiliki Louka posted 10 points and six boards. The Cascades (3-2) and T-Wolves (0-5) renew hostilities in Prince George on Saturday at 5 p.m.
UFV built a 24-19 lead at the end of the first quarter, then opened the second on a 12-4 run to push the advantage to double digits. 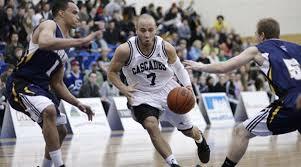 The host T-Wolves responded with an 8-0 run of their own, but the Cascades regained control as Williams swished a pair of treys in quick succession. They led 45-38 at the break. 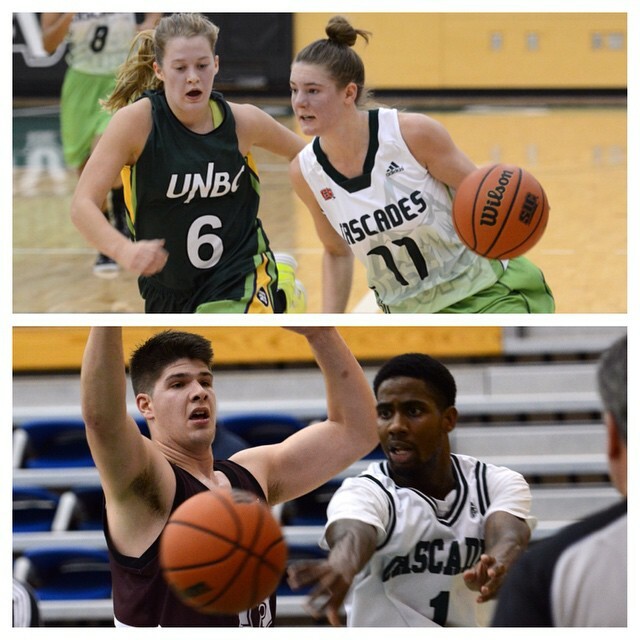 UNBC hung tough throughout the third quarter, and the Cascades took a 58-50 cushion into the fourth. The visitors exploded for a 13-4 run midway through the final frame, though, to push the lead to 19 points and drain any suspense from the proceedings. A highlight for the Cascades on Friday was the return of Hailey Kendall – the third-year guard had been sidelined the past four weeks with a broken hand. Her five points off the bench all came during the decisive fourth-quarter run. The University of the Fraser Valley men’s volleyball team dropped the first game of its weekend series vs. the College of the Rockies Avalanche, falling in four sets on Friday evening in Cranbrook. The Avalanche prevailed by scores of 25-21, 25-16, 21-25, 25-23 to improve to 4-3 in PacWest play. The CCAA No. 14-ranked Cascades are 4-5. “We couldn’t pass the ball tonight, that was our biggest struggle,” UFV head coach Kyle Donen analyzed. “Our first contact was a struggle for us, and that kind of set the tone and made it difficult for us to run the offence we want to run. When you can’t pass the ball, it makes your offence predictable. Donen lauded the play of a pair of rookies – setter Dan Tang and middle Connor Prium – but noted that his team has room for improvement in Saturday’s rematch. That game goes at 3 p.m. Mountain time and can be viewed at pacwestbc.tv. The University of the Fraser Valley women’s volleyball team snapped a six-game losing streak on Friday evening, defeating the College of the Rockies Avalanche in four sets on the road. Coming off a long bus ride to Cranbrook, the Cascades started slowly, dropping the first set 25-14. But they controlled the match from that point, winning the next three sets 25-21, 25-20 and 25-18. UFV boosted its record to 3-6, good for fifth place in the PacWest, while the seventh-place Avalanche fell to 1-6. The two teams clash again on Saturday at 1 p.m. Mountain time. Kelly Robertson led the charge for the Cascades – the sophomore outside hitter registered a 40 per cent kill efficiency en route to 13 kills, and also racked up 16 digs. Libero Amy Davidson notched 24 digs, while setter Nicole Blandford posted 34 assists and drew praise from Gilray for her excellent decision-making. “It was great to see them continue their development as a team and to see that the work we’re putting in, they’re starting to build confidence from it,” Gilray said. Be the first to comment on "UFV Sports Friday – Men’s Hoops First Loss Of The Season"